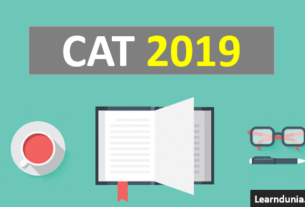 CAT Application Form: CAT Application Form available from 8th August 2018, the Application Form will be available on Online Mode, and the last date of filling the application form is 19th September 2018. Common Admission Test is a top level management entrance examination organized by the Indian Institutes of Management (IIMs) on a rotational basis every year. For admission in MBA, PGDM, and other management courses which is offered IIMs and other top business schools in India such as SPJIMR, FMS, MDI, NITIE etc scorecard are required. Percentage Criteria: In the qualifying exam, candidates must have scored minimum 50% marks for general and 45% marks in case of SC, ST and PWD candidates.